China Plate are currently collaborating with Caroline Horton, Chris Thorpe, Contender Charlie, Dan Jones, Inspector Sands and Sarah Punshon. The company are also Associate Producers at Warwick Arts Centre where they develop and commission new work, Artistic Associates at the New Wolsey Theatre where they are Directors of PULSE Festival, Programmers of New Directions (the NRTF showcase), producers of innovative development programmes including The Darkroom, The Optimists (producer training) and The First Bite and Bite Size Festivals and partners with The Place, The NRTF and Take Art on the Rural Touring Dance Initiative. China Plate are passionate about creating adventurous and imaginative new work with popular appeal. Using theatre to engage and inspire, the company takes work into venues, village halls, schools, on to the streets and to festivals in the UK and internationally. In 2014, China Plate created, toured and programmed work for over 21,000 people (nationally and internationally) across 45 venues with a diverse programme of shows and events. Curtain up on the future of theatre… Collier and Warwick are an impressive pair, and I think we’ll be hearing a lot more about them. Broadly, there are three key strands to the company’s work – although every relationship is different and ever evolving, and many straddle different strands at one time. 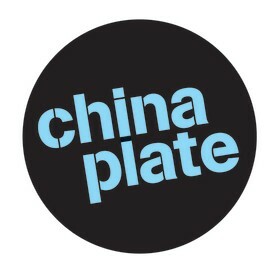 China Plate specialise in connecting a network of artists and development opportunities with venues, distribution routes and particularly audiences.